Winslow Village is a HUD Apartment. HUD residents usually pay 30% of their gross income for rent. The rent amount, less approved HUD deductions such as medical and child care expenses, and other allowances, includes a utility allowance. HUD Residents also may choose to pay what is known as flat rent. The HACC works with applicants to determine which rent arrangement is best for them. Apartments offered at Winslow Village are subsidized through the Department of Housing and Urban Development (HUD). For those who meet HUD income guidelines apartments are available at a rent equal to 30% to the resident’s adjusted gross income. Winslow Village is a garden style complex in the beautiful seaside community of Marshfield. Our complex contains seven two-story buildings. The grounds are nicely landscaped with walkways, gardens and outside sitting areas joining the properties. Winslow Village’s studio and one-bedroom units are spacious and well maintained. Both Winslow I and II have recreation rooms where activities and meetings are held. Residents can also reserve these rooms for private use. 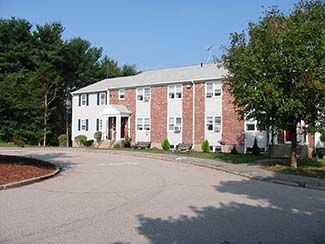 Winslow Village offers housing for individuals and couples looking for safe, clean and independent living. The GATRA Bus line offers transportation to surrounding towns and The Marshfield Council on Aging offers a variety of activities and services for elder residents living in the Town of Marshfield. Are you familiar with Winslow Village? Help PublicHousing.com users find out answers. South Shore Housing Development Corp.